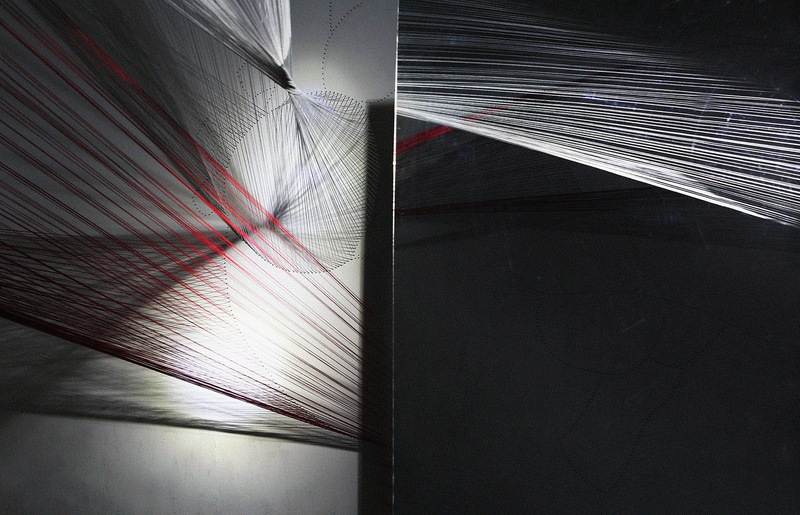 In this article we meet installation and video artist, Yang Shen, from Taiwan. I am originally from Taiwan. I grew up being told not to whistle at night because the sound of whistling calls for the evil spirits. When Thanasis first told me about the theme of Whistle Project, I could naturally relate very well. I was greatly intrigued by the concept of Whistle Project. It is refreshing to work in a community instead on my own. We are able to inspire each other in the process of creating our final work. For this project, I pulled out the abstract films I recorded on a piece of installation I did in my studio three years ago and used that as the base layer of my project. I love to challenge myself by reworking elements over and over again. After getting the base visual idea prepared I look for a piece of music under the creative commons license. I would say the work truly begins after picking out a piece of music. It is always an interesting experience working with both visuals and music. The two elements intertwine with each other - to me, they express and rely on each other. Only with a split second of a change in colour or a frequency drop in the music can change the emotion completely. At the end of each project, I usually watch the video once and walk away completely. I then come back in a week to do the final edits and finally exporting the file. Often times, I have to re-export several times to catch all the glitches. What was your artistic style, any influence? My artistic style is influenced by electronic and classical music. However, I do not make music myself. I feel because of that, I am able to view music purely with my emotions. When I have a piece of visual in my mind, I also hear the sound that sets the tone in stone. It is difficult to say. The majority of Taiwanese are superstitious because a large number of people believe in Buddhism. I would not say that I am superstitious - but I will not break a mirror in the bathroom with the lights turned off, at midnight, to see what will happen. I would like people to feel the emotions in the work. In this piece, I am trying to create eeriness. However, I also find the video somewhat peaceful. It is all about perspectives. The idea of collective storytelling is being able to see one thing in multiple views. The only way to experience a story in full is to have all perspectives. That is also why I feel virtual reality is doing so well. A collective storytelling is like virtual reality with multiple realities. This project gives people a unique experience of being able to step into multiple minds from all over the world. It is important to have an exhibition because this experience can only be fulfilled by being physically immersed. The work is to express the word "fleeting". Like a ghost, a shadow, time, and life - it is all fleeting and unreal. All the works created for WHISTLE project by Shen, will be available to the public during the transmedia exhibition. Yang Shen is a Taiwanese installation and video artist. She studied Fashion Textile Design at Parsons The New School of Design in New York City. Her recent solo exhibitions include, Leftovers, ASH, Long Island CIty, NY (2016), Through The Glancing Window, N 6, Brooklyn, NY (2017), Kommunikation, Meadow Warehouse, NY (2017). Her recent group exhibitions include, Elektronische Emotionen, LET GO- TAKE Academy, Berlin, Germany (2017), Untwist, GlogaurAIR, Berlin, Germany (2018). 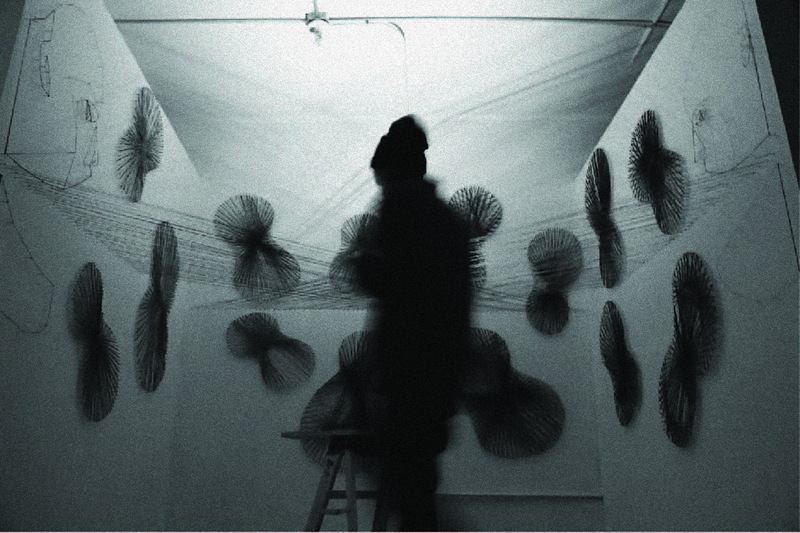 Yang Shen practices installation and video art. 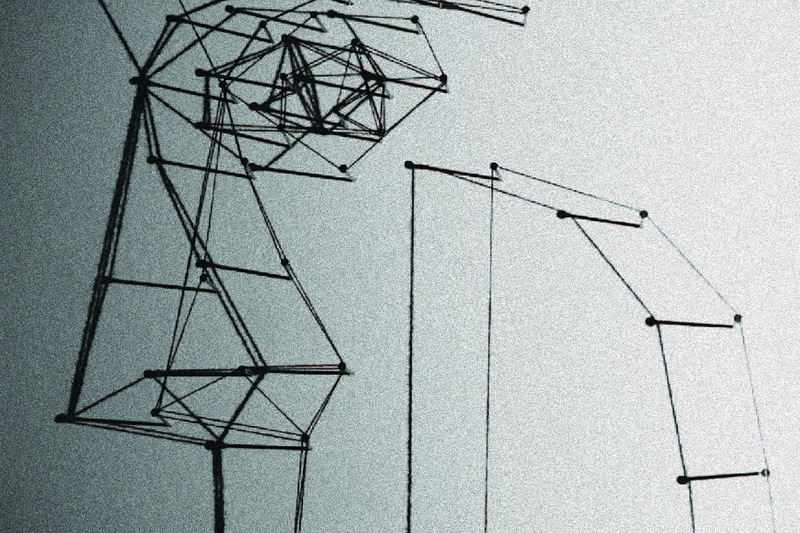 Her focus is on building images out of nails and continuous lines passing back and forth throughout space. The emotions that she tries to convey for the installations are shown in the videos she makes with each installation piece. The videos are often projected back onto the installation, or it evolves into new projects. 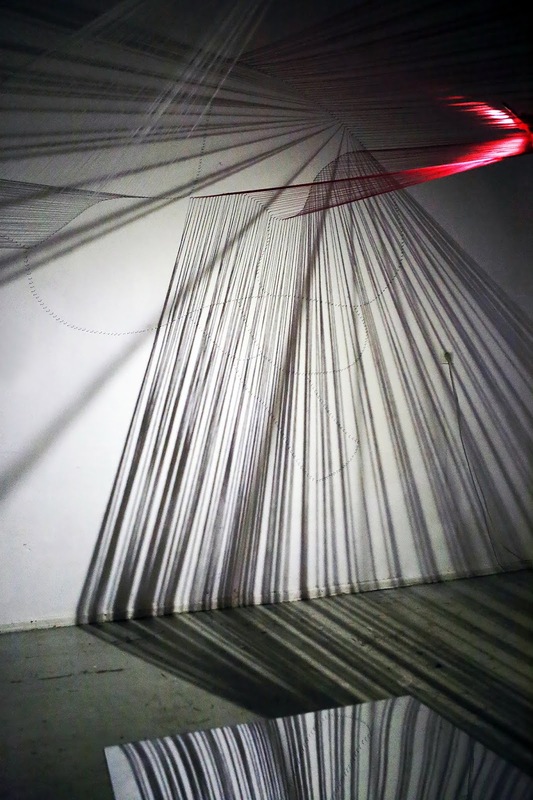 By animating her installation through lights and shadow, she challenges her viewer’s perception of physical and non-physical existence. Through her video work, she presents a different dimension where the concrete elements of the installations are transformed into moving objects.